FIMA GANADERA reaches its eighth edition on 2007, being the greatest international fair for livestock to be held in Spain during uneven years. In order to achieve this goal, it has been made aspiring plans to activate the presence of exhibitors and foreign visitors, by promoting the contest in the most important international events for the livestock. Thus, from Rennes, Cremona, Hannover, Clermont-Ferrand, Utrech, to countries like Argentina, Brazil and Colombia, delegacies from FIMA GANADERA have traveled with the aim to inform and attract the biggest amount of renowned companies and professionals. In this sense, and collaborating with de International Work Team of Feria de Zaragoza, the capture of foreign commercial missions is currently being closed for this new edition, being confirmed the participation of 21 countries up to date. There are three reasons why FIMA GANADERA earns the entire attention of the sector this year: its location as the sole international meeting for livestock to be held in Spain on 2007; the significant improvement in quantity and quality of exhibitors and visitors; and the ambitious program of lectures and professional meetings which are being arranged. VI Conference on Animal Nutrition Specialization. OFFICIAL OPENING OF THE FAIR. Contest visit. 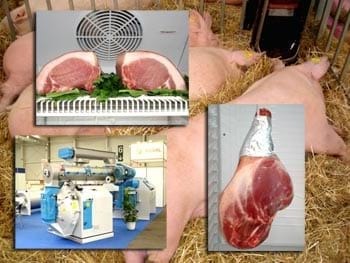 ADIPREM Conference – Federación Española Empresarial de Aditivos y Premezclas para la Salud y la Nutrición Animal. Organized by AECOC – Asociación Española de Codificación Comercial. 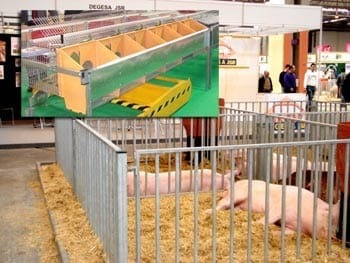 ANPS meeting – Asociación Nacional de Porcino Selecto. Organized by PROBASA – Productos Básicos S.A. Round Table on veterinary drugs. Paper presentation on goatling meat from diverse Spanish goat breeds. V National Meeting of Grain Operators.